I am constantly on the look out for 'the' perfect foundation for my skin that doesn't cost a fortune. I have used the likes of Estee Lauder Double Wear (£31.00), which I adore, and Bobbi Brown Long Wear (£34.00), which again I adore, but as both of them over £30.00 a bottle I find myself not wanting to use them for normal everyday wear. I have seen a lot of reviews and adverts for L'Oreal foundations recently so I thought I would give them a whirl and see if any of them suit my skin as they are all reasonably priced at around the £10.00 mark and they are usually on offer in shops such a Boots and Superdrug. So I picked up three from the range; True Match Super Blendable Foundation, Infallible Total Cover Foundation and Infallible Stay Fresh Foundation 24H. Now I know everyone has different skin and different foundation formulas don't agree with everyone but if you have skin like mine the below summaries may be useful. My skin has changed a lot as I have got older, it's generally very oily however I am prone to dry patches too, just to be difficult, and I also have red patches so I need a full coverage foundation which doesn't feel too heavy or cakey as I don't want it to feel like my pores are clogged up! "L'Oreal's #1 foundation - a velvety formula matches your skin’s unique tone and texture, for a true to skin finish: flawless, blendable, and never fake. Whilst your skin tone is visible on the surface and can alter through the seasons, your skin undertones are determined at a deeper level, they are part of your skin and never change. Each complexion has its own undertone: pink (cool), neutral or golden (warm), so you can now find a match that’s true to you." I like this foundation, it's easy to apply as it has a very thin consistency and it feels very light on the skin. The coverage is light to medium so would suit me better when I am having a good skin day. It lasted well but I did start to notice patches after a few hours so I needed to top up with some powder. I imagine this will be a great foundation for the summer when I don't feel I more of a full coverage. This would definitely suit dry skin as it feels very moisturising to apply and wear however for oily skin you will definitely need to use a good powder with it as a top up. 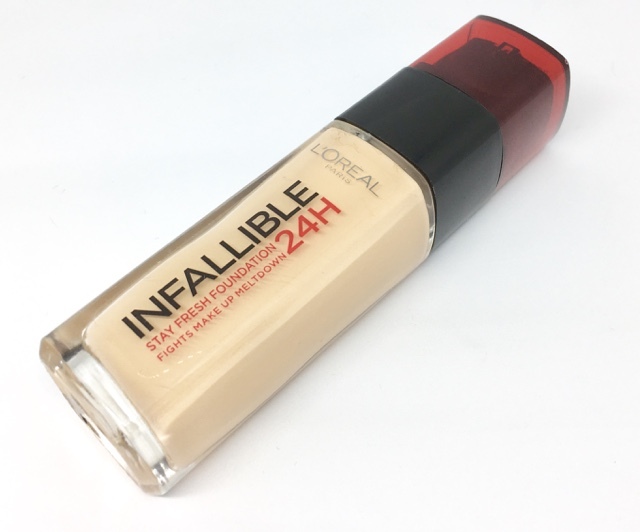 "Discover Infallible Total Cover Foundation for a flawless, full coverage base that lasts up to 24 hours. The zero compromise, camouflage formula covers everything from blemishes, redness and tattoos without the overload, while the matte finish leaves you with an even, shine-free base. No compromise. No transfer. No overload"
Yes, yes, yes! This is what I was looking and hoping for however it won't be for everyone! This foundation is thick in consistency but when applying it it almost has a mousse like feel and doesn't feel heavy on my skin once it's applied. The coverage is brilliant, definitely full coverage as L'Oreal promise and it is very long lasting. As I am typing this I am still wearing it after applying it at 9am this morning, so 7hrs later, and it still looks great and I haven't had to top up with powder as my oil is minimal - bonus! 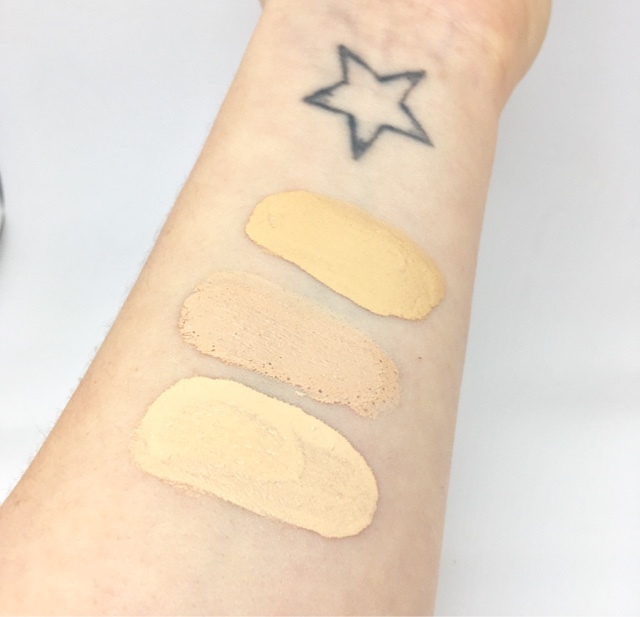 "High coverage longwear foundation that hides the appearance of fatigue and blemishes. Now with Hydrating Hyaluron Comlex the 24H non-stop formula is touch-proof and stays fresh for lasting comfort." This foundation I had high hopes for but unfortunately it is the one I will be least likely to go to. I am presuming this is designed for dry skin as this foundation made my skin extremely oily, embarrassingly oily if I am honest! The coverage is good but doesn't last that long, probably because it made my skin so oily it just slipped right off! If you have dry skin then I would give this a go as I can imagine it being very moisturising but if you have oily skin like me, stay away from this one! 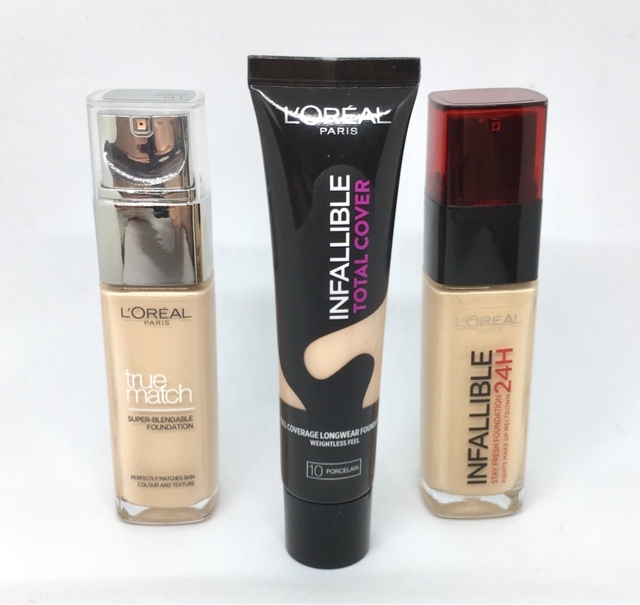 I will definitely continue to use 2 out of 3 of the foundations (True Match and Infallible Total Cover) but overall I really love the Infallible Total Cover as it ticks all the boxes for me - long lasting, full coverage, light on my skin and doesn't make it oily! For a bargain price of £9.99 this is definitely a great everyday foundation for me. Have you ever tried any of these foundations or do you have any high street recommendations? thanks for this - I am always after a new wonder foundation and haven't tried any of these. They all look good! I use the loreal Infallable one and love it! One of the best foundations iv used and thats counting the higher end foundations. 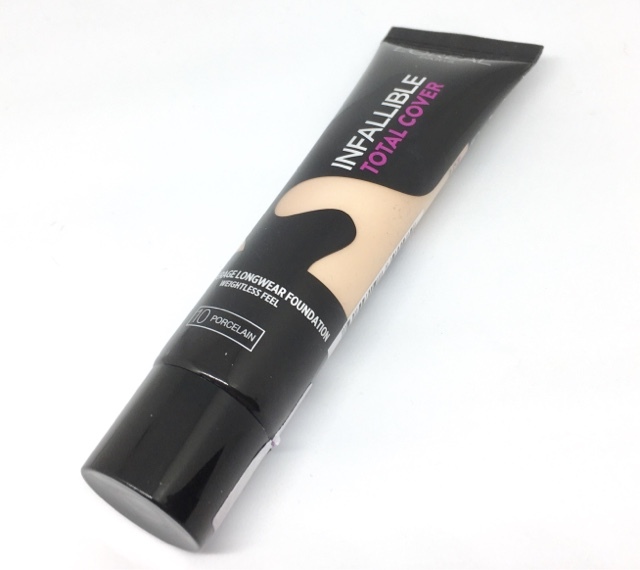 The L'Oreal Infallible Total Cover Foundation sounds perfect. My foundation is running low so this might be my next buy. Sounds like some good foundation, too bad one of them made your skin a bit oily! I always struggle to find the perfect foundation. Between my skin tone and my oily skin! I just realised I can't remember the last time I actually wore foundation. Having very dry, pale skin makes it a nightmare to find a good one so I stopped bothering. Im not happy with my foundation at the moment - use a maybelline one and it's quite chalky! It sounds like I have the same skin type as you so will look out for the Infallible one next time I'm out shopping! Needed this!! I have true match and the magic cushioned one, but was tempted by infallable. Will getting that today! I sometimes struggle with some brands and colour matching. These look like great quality. The shades look good on you. I doubt they would have a shade for me. I use MAC and Estée Lauder. I'm always struggling to find the perfect foundation (and I can see by the comments that I'm not the only one!) 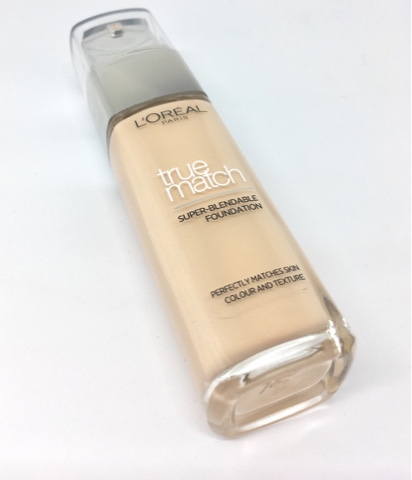 I was really interested in your review on the true match as I really struggled to enjoy this foundation :( I just don't use it as much now cause it's so hard to find a decent one at good price!